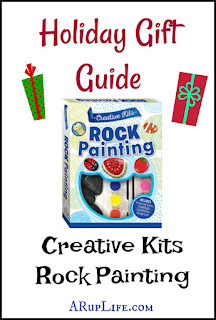 A RUP LIFE: Creative Kits: Rock Painting Giveaway! Creative Kits: Rock Painting Giveaway! Rock Painting is becoming one of the most popular past times. One of the reasons is because groups are popping up all over and hiding the rocks in the community. The idea is you can take a rock you find or take and replace with one you made. It is a wonderful way to bring the community together. Most of our local parks having been participating and there is even a local facebook group for our local area. I have been wanting to give rock painting a try since I saw the growing popularity. I knew my 7 year old would love it but what surprised me is that the 17 year old enjoyed it just as much. It is a bit too cool to be at the park this time of year but we are planning a visit on a warm day - to hide our rocks and see what we can find. 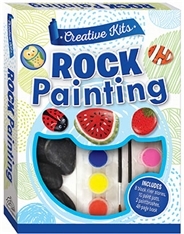 Inside Creative Kits: Rock Painting kit you will get an idea book, 10 paints, 2 paint brushes and 8 black river rocks. This is everything you need to get started. The book is filled with ideas for holidays and just fun stuff. The book is removable from the kit and something you can pull for reference if you decide to paint additional rocks outside the kt. 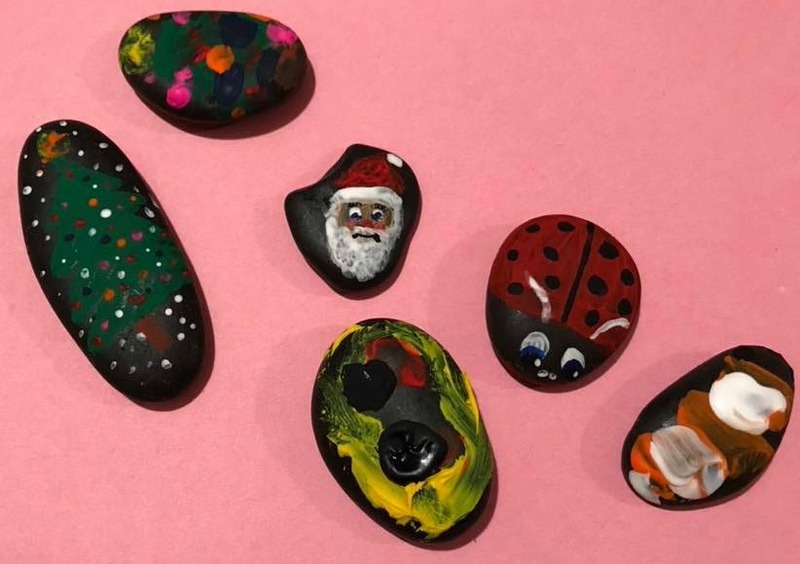 With Christmas just a few weeks away I decided to take most of my inspiration from that and do two rocks in the holiday theme. The ladybug was a book idea. It was easy to follow the instructions and produce a similar result. My teen decided to do his own ideas and used his phone to look up peppermints and a star wars character to design. He really enjoyed this kit - at 17! I think this is a hobby we will continue all winter long and then in the spring we will have quite the collection of rocks to hide around the town. My 7 year old hasn't been feeling well after a head injury so he just painted the rocks randomly - which he quite enjoyed too. 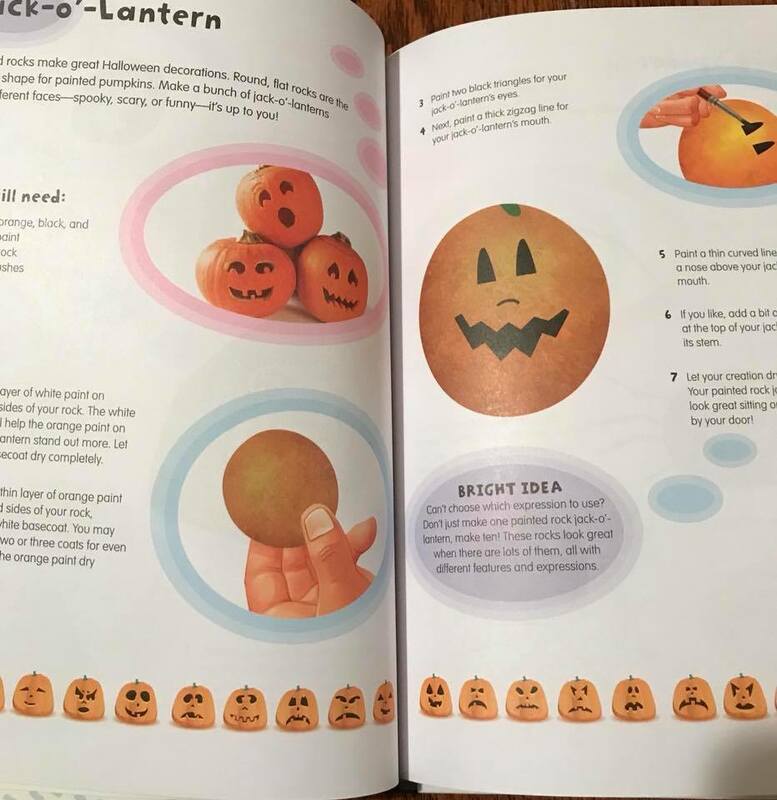 This kit made for a fun family night. 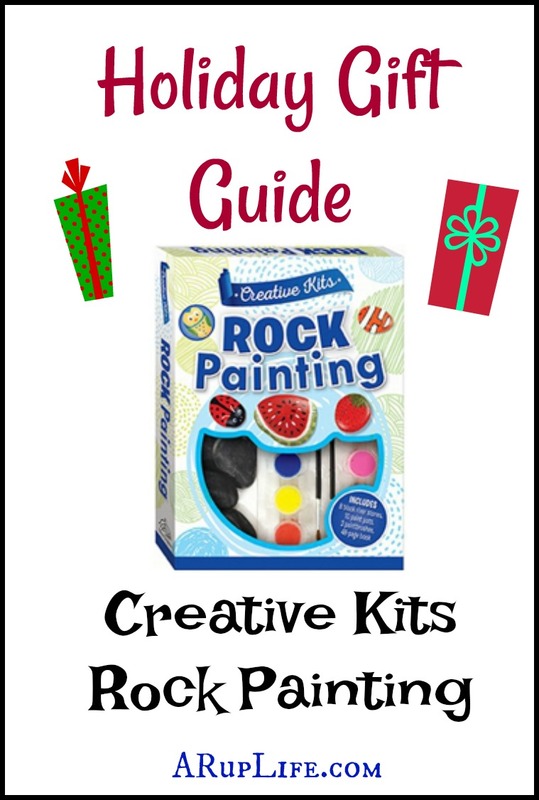 One lucky reader will win a Creative Kits Rock Painting Kit! We have never painted rocks before, but I think my little naturalist and my little artist would both enjoy this! I have not painted rocks before but was thinking of painting canvas' with my boys this weekend and may do rocks too. Sticker Road Trip: 50 States. I used to paint them when I was a kid. I’m also interested in the itsy bitsy spider. I haven't painted rocks before but I think it would be fun to do with my nieces. From silver dolphin books, I love the sticker road trips book! 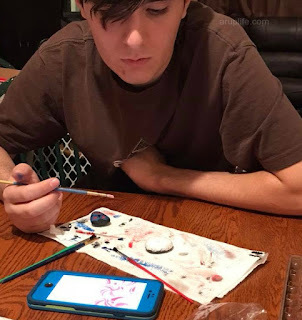 We are part of a rock painting group in our town! Yes, we've done a bit of rock painting. It's always fun! I like the Brainfood Doodle Mats: U.S.A. from Silver Dolphin Books. No, I have never painted rocks before but it think it would be very enjoyable! The Sticker Road Trip:50 States Book is also another book I'm interested in. 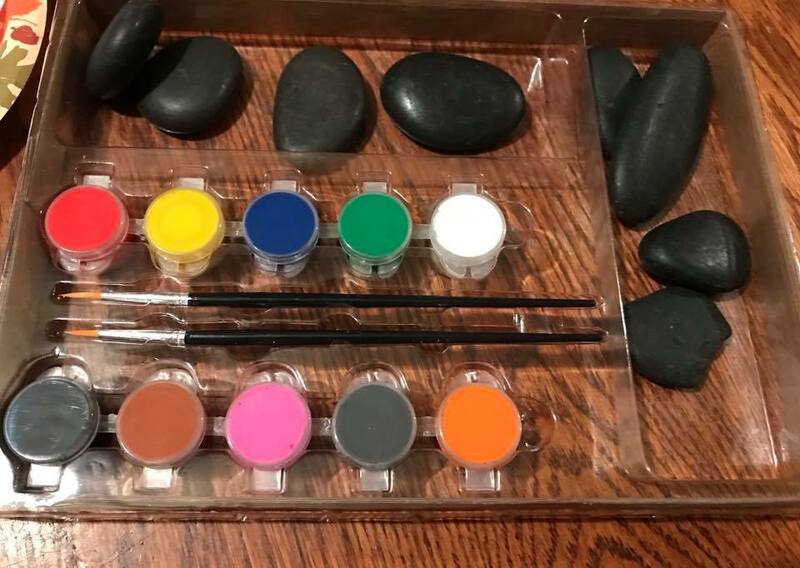 My children and I have painted rocks together, they had a blast doing it, this kit would be great, we would love to do it again. Yes and bought rock kits as presents. Love this! We haven't painted any but we have found and rehid a couple in our town. My daughter has been asking if we could start painting our own! dig dig Digger looks really cute! Never painted rocks before but I have thought about it. I'm sure the kids would love! I am so excited to have won! Thanks so very much, Lisa!